Rather awkward to put together (and those clamps are the largest I have, they were comfortably large enough to make the workbench with padding on the clamps and still they only barely make it). 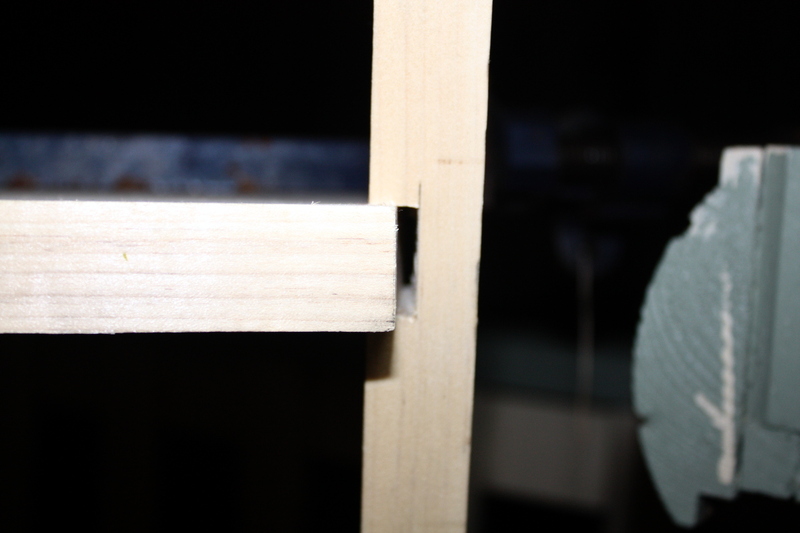 That’s going to dent the outside corners of the edges, but that’s okay, they’ll be shaped to a round profile and those corners are coming off anyway. I will need to take the angle grinder and flapdisk to the clamps though, they’ve been “stored” outdoors for some time and the rust is criminal (don’t judge me, there was noplace else to put them and the job of rehabbing them has been on the list for a while now). 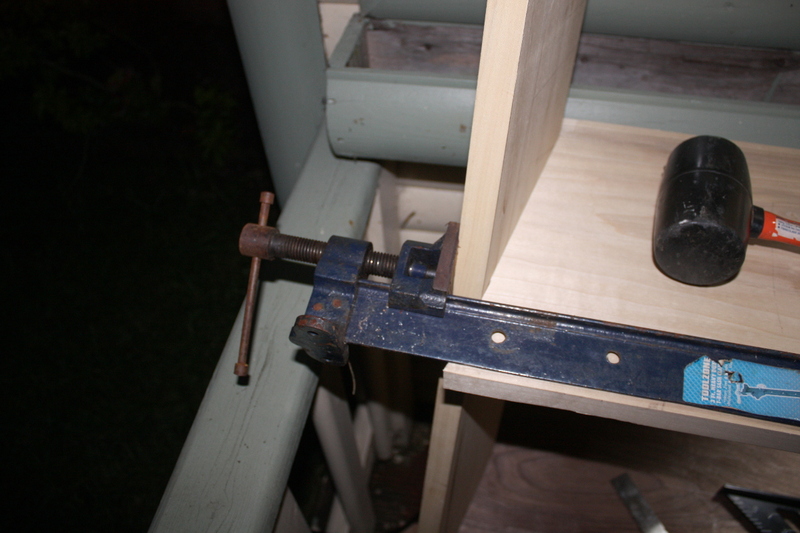 And as a result, the sides are pushed out of true. I mean, the fix for that is pretty straightforward (fettle the joints) but it’s going to be a bit of a pain disassembling and reassembling the whole carcass. 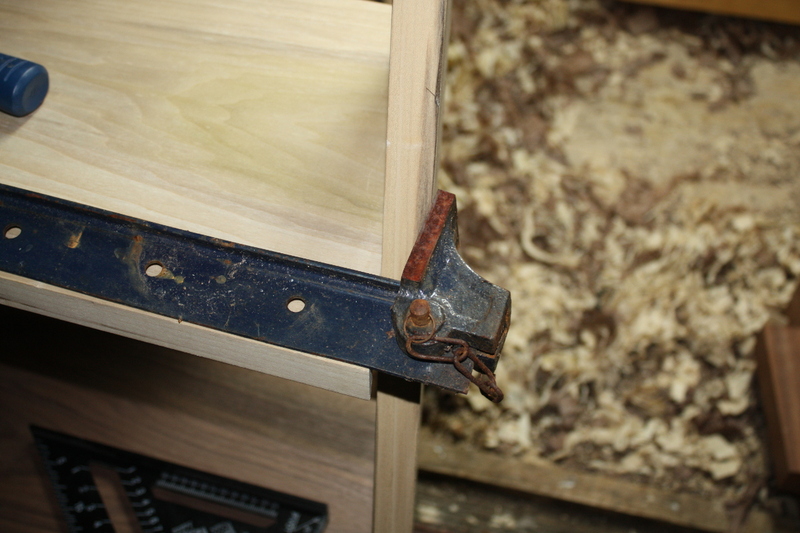 But, once that is done, I can get on with cutting the dovetails for the top shelf, and once that is done, I can take the whole thing back to pieces again and trim the left side’s foot (it’s a mm long, which might well get hidden by the carpet, but it’ll annoy me…) and then there’s a long bout of inlay work and shaping before the final assembly and glue-up and finishing process. And then I’m doing small stuff for a while. This building furniture that won’t fit through the door nonsense is a pain in the fundament. I feel your pain. Are the housings too tight or too loose? Tight is fixable, loose requires creativity. 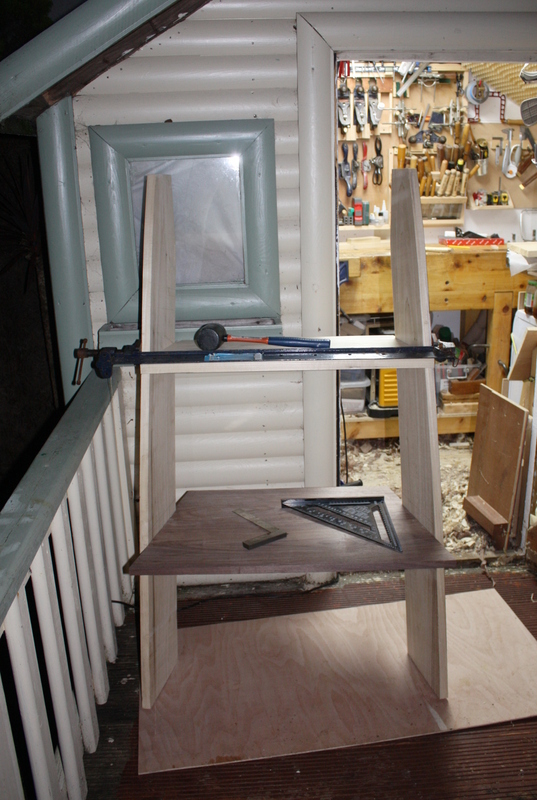 One is too tight; and the sliding dovetail on one side isn’t really loose, but is definitely a shade looser than the other and I worry that the assembly process is stressing the joint enough to loosen it. 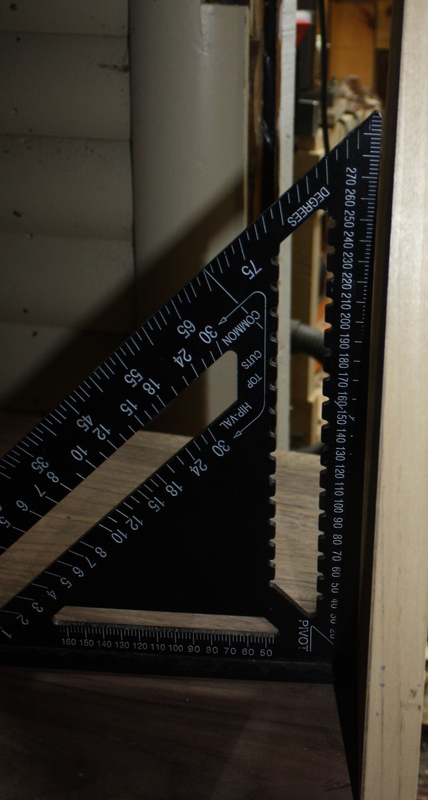 Final glue-up should be fine, but getting to there will be interesting. Also, there’s a bit of inlay and maybe some resin and some lights to be inlaid yet and I foresee the final finish planing sorting out the tightness.